Had to happen...I'm in back-to-school mode. Though I don't offically start back until August 14, I've been busy preparing some back-to-school and library orientation activities for students, some project collabs with teachers, and a few literacy/Web 2.0 tool in-services for teachers. I'm a truly sick puppy, because this is actually FUN for me. I've designed several book posters/flyers - a few intended for some teacher in-services, which I'll share soon - but this one is specifically for my students. 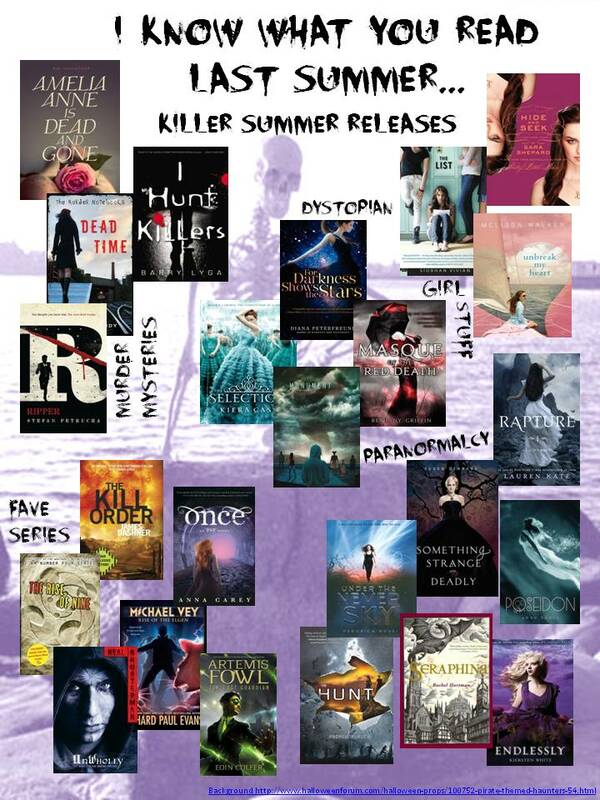 I know them and their interests well, and these should be the books they'll be buzzing about upon their return - can't wait to fangirl with them over these newer releases! Btw, the "I Know What You Read Last Summer" theme arose from the realization that, as I was saving book cover pictures, there sure were a lot of really dark books released this summer. 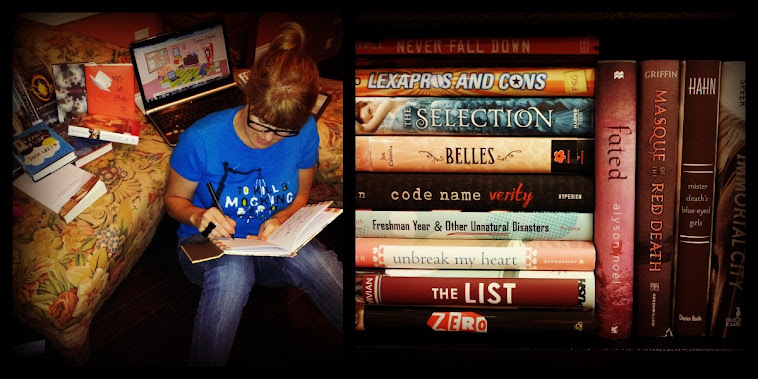 Serial killers, plagues, flesh-eating creatues, back-stabbing girls...if this keeps up, this year's Teen Read Week horror-themed "It Came From the Library..." will promote itself! And, yes, that background is a skeleton mermaid. How awesome is she? Poster looks great! Monique, Kristen and I better step it up for the middle school session:) What did you use to make it? I used this really high-tech graphic program...Powerpoint. ;-) Srsly, it's the best to use with pictures, text, and effects - then just save as a .jpg or PDF. I hope the teachers will be as enthused about new books as we are!